Highlights from Tottenham's 2-1 win over Fulham in the Premier League. Fulham looked to have secured a vital point in their battle against relegation but Winks' first goal since November 2016 saw Spurs beat a side managed by Claudio Ranieri in the Premier League for the first time, deepening their plight towards the foot of the table. 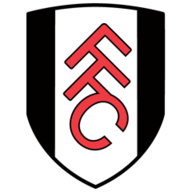 Fulham: Rico (6), Odoi (6), Le Marchand (7), Ream (6), Christie (7), Chambers (7), Seri (6), Bryan (6), Schurrle (7), Babel (7), Mitrovic (6). Subs: Sessegnon (6), Kebano (5), Cisse (n/a). Tottenham: Lloris (8), Alderweireld (6), Vertonghen (6), Sanchez (6), Trippier (6), Winks (8), Eriksen (7), Rose (6), Lamela (6), Alli (7), Llorente (5). Subs: Dier (5), Nkoudou (6). All the talk ahead of kick-off concerned Tottenham's ability to cope without both Kane and Son for the first time in 132 Premier League games, but it was evident early on that it would take some time for Spurs to adjust. Fulham's recent signing Ryan Babel kicked off an impressive debut performance on 12 minutes when he outmuscled Davinson Sanchez and charged towards the area, where his fierce near-post shot was tipped behind by Hugo Lloris. Cyrus Christie accepted the invitation to charge forward on the quarter-hour. His cross deflected behind for a corner from which Fulham took the lead as the unsighted Llorente diverted Jean Michael Seri's delivery beyond Lloris. Llorente had the chance to atone for his clanger on 24 minutes but failed to make clear contact with Jan Vertonghen's deep cross, his effort off the shoulder dealt with by Sergio Rico. 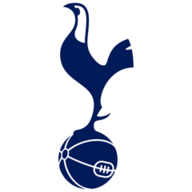 Spurs, who were laboured and short of ideas, were fortunate to reach the interval with just the one-goal deficit as Fulham laid siege to their goal. Babel should have doubled the hosts' tally on 40 minutes but he headed over from Christie's cross. January signing Ryan Babel replaced Ryan Sessegnon in Fulham’s only change from their defeat at Burnley. With Harry Kane and Heung-Min Son missing, Fernando Llorente and Erik Lamela returned to lead the Spurs attack. Davinson Sanchez and Danny Rose were also handed starts as Mauricio Pochettino made four changes following the defeat to Manchester United. Andre Schurrle's brilliant volley then drew Lloris into an even better save before Aleksandar Mitrovic's rebound was ruled out for offside, while a last-gasp challenge from Vertonghen prevented Babel from finding the target after a deft back-heel from Calum Chambers. But after a number of close calls Spurs took just six minutes of the second half to erase Fulham's lead as Eriksen's whipped cross from the right was headed home by Alli at close range. Danny Rose's deflected shot cannoned off the crossbar on the hour before the England left-back whipped a peach of the cross into the area on 80 minutes. Llorente had another chance to make up for his own goal, this time at the same end, but he glanced wide from five yards. Fulham looked to have earned a vital point towards their survival bid but it was cruelly snatched away from them as Nkoudou's teasing cross from the left was dispatched by Winks with seconds remaining, leaving the hosts with no time to respond. Spurs have won four of their last six Premier League away games in which they've conceded first (L2), including on both occasions this season (6-2 v Everton and 2-1 v Fulham). 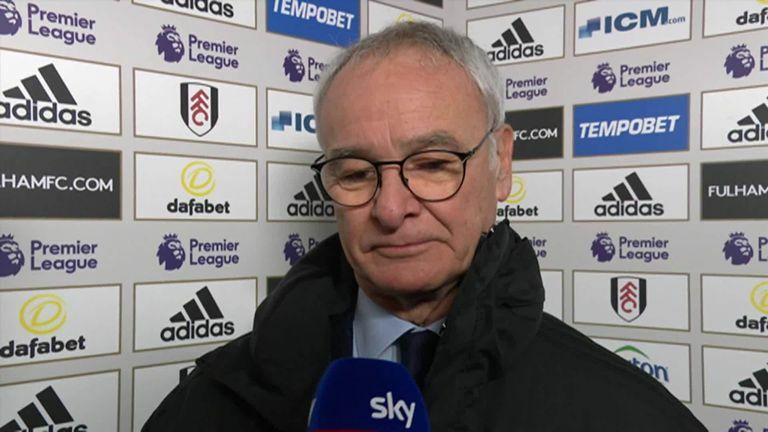 Fulham manager Claudio Ranieri suffered his first Premier League defeat against Spurs (W7 D4 L1), in what was his 12th game in the competition against them. Fulham are the first team in the top five European leagues to have conceded 50 goals in league competition this season (51). Spurs won a Premier League game without Harry Kane or Heung-Min Son for the first time since March 2014 (3-2 v Southampton). Since his Premier League debut in August 2015, Dele Alli has been directly involved in 47 per cent of Spurs' goals in the competition when Harry Kane hasn't played (7/15 - five goals and two assists). No player has scored more headed goals than Spurs midfielder Dele Alli in the Premier League this season (4 - joint-high with Aleksandar Mitrovic). Fernando Llorente's own goal for Spurs was their first in the Premier League since January 21, 2018 (364 days ago), when Davinson Sanchez did so against Southampton. Spurs have scored four Premier League own goals against Fulham - against no other side have they scored more (also four v Southampton). Fulham's Ryan Babel started his first Premier League game since December 6, 2010 (for Liverpool against Aston Villa), 2967 days ago. Claudio Ranieri: "The first half was fantastic for us. We scored, maybe there was a penalty too after our goal. The second half they tried to do their best but the two goals, we lacked experience. With one minute at the end we had a free-kick and put it in the box, why? Take it to the corner. I think our fans are happy for their performance and we must continue this way. I am confident and haven't lost my confidence about the team." 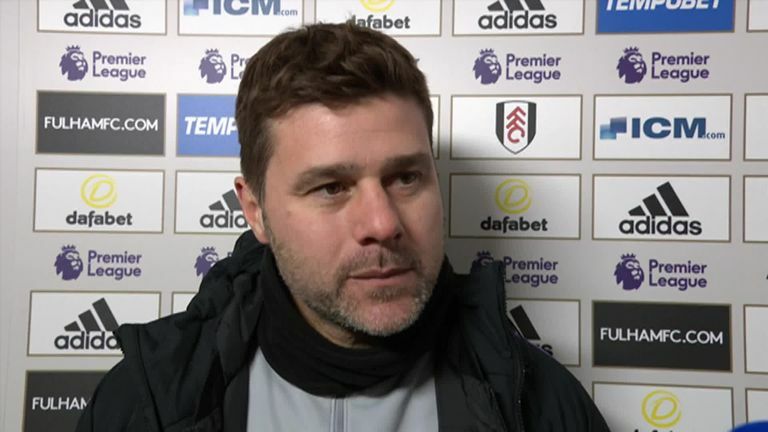 Mauricio Pochettino: "The performance was solid, although maybe not great. Fulham are a team who needed to win and we struggled a little bit in the first half, because from set-pieces, they work so hard. After Manchester United, it was a tough week for us because there were some negative bits around the team, but we turned it into a positive today." With Kane and Son missing Spurs needed someone to step up to the plate when it mattered most and Winks proved to be that man. An assured midfield performance was capped in the most dramatic circumstances as he finished off the move he initiated, driving into the area to head Spurs back to winning ways with only his second goal for the club. Fulham host Brighton in the Premier League on January 29 (7.45pm). 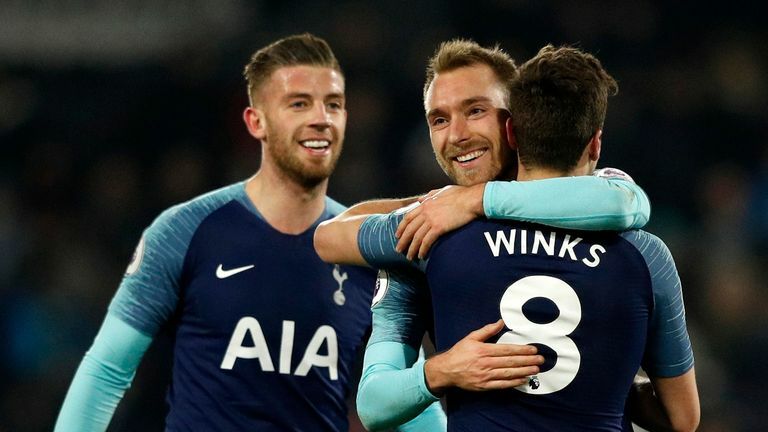 Spurs look to book their place in the Carabao Cup final when they travel to Chelsea for Thursday's semi-final second leg, live on Sky Sports, before making the trip to Crystal Palace in the FA Cup fourth round on Sunday (4pm).